Experience a modern interpretation of Kaiseki cuisine presented around seasonal menus at our Japanese restaurant in New York City. 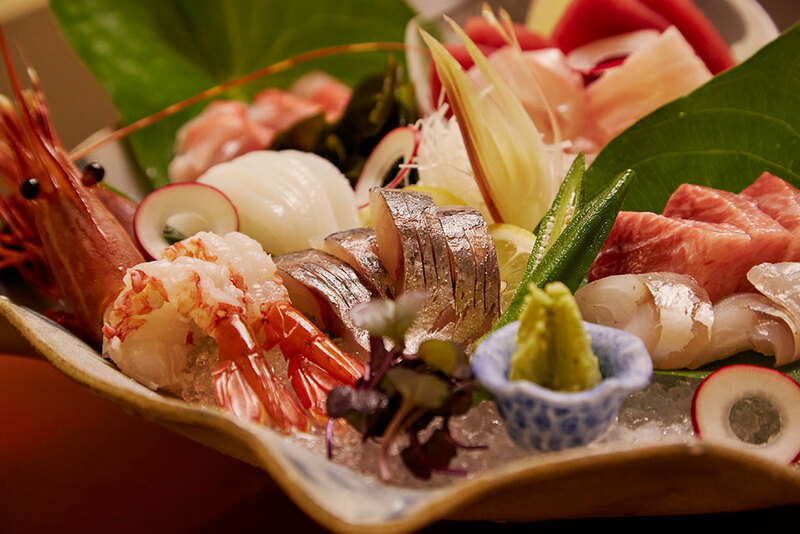 Described by the New York Times as "rarefied" and "excellent," Hakubai uses the freshest local ingredients from regional purveyors to create an artfully-prepared menu of sushi and sashimi, noodles, appetizers, and entrees. The dining room and private Tatami Room feature artwork by famed contemporary artist Tatsuya Ishiodori and Ikebana, offering a stylish and intimate setting for dinner parties and gatherings. 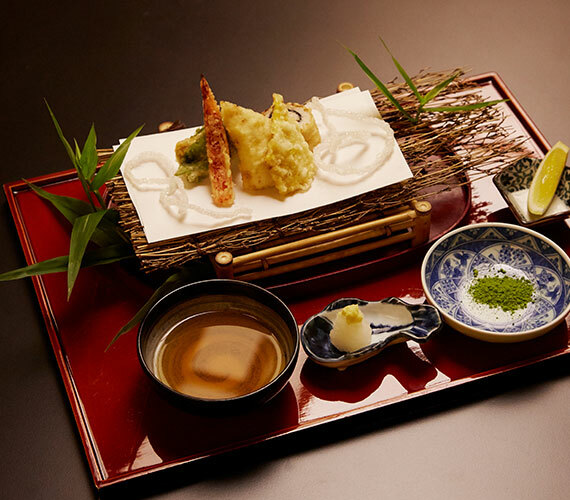 Hakubai invites guests to share in the celebrated tradition known as Kaiseki cuisine. A distinctive and delicate cuisine with roots in Zen Buddhism and the time-honored Japanese tea ceremony, our modern interpretation of this Japanese style of cooking focuses on incorporating the best seasonal ingredients to create food that is pleasing to both the eye and palate. Executive Chef Yukihiro Sato prepares an authentic Japanese experience with a multi-course dinner served on exquisite porcelain, pottery and lacquer dishware at timed intervals. Designed around the season's best available local ingredients, the food at Hakubai builds a progression of flavors that create the perfect synergy between cuisine and artistic expression. 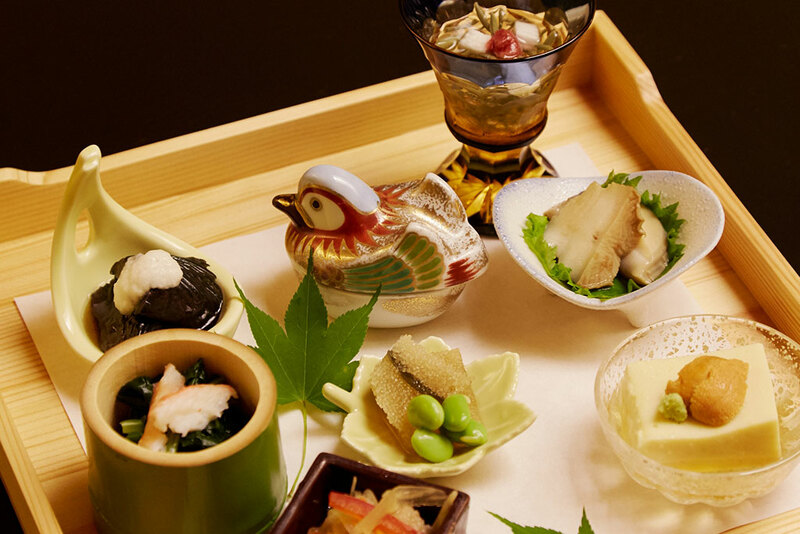 Prices for a full Kaiseki dinner vary from $110 to $200 per person. 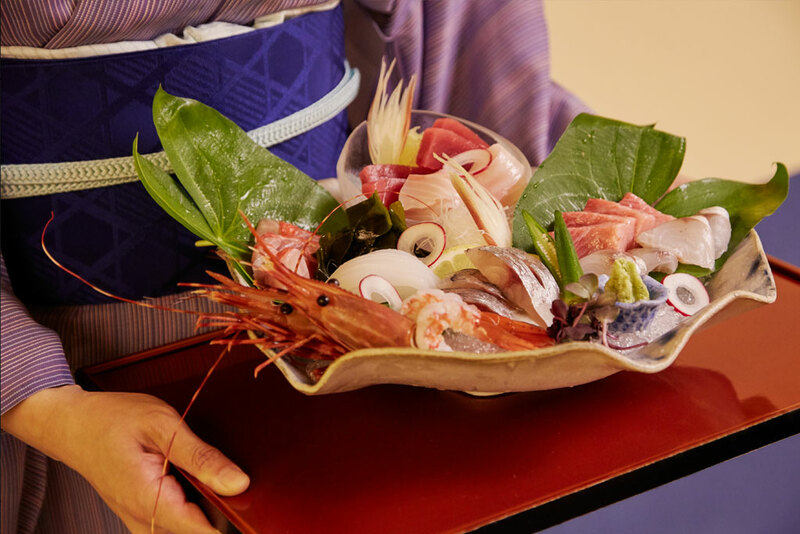 An a la carte menu featuring Shabu Shabu, Kobe Beef, Sushi, Sashimi, and Tempura is also available, along with menus for private dinners and special celebrations in the restaurant's Japanese-inspired Tatami Room. "...the answer is serenity and the extraordinary sense of experiencing another culture." 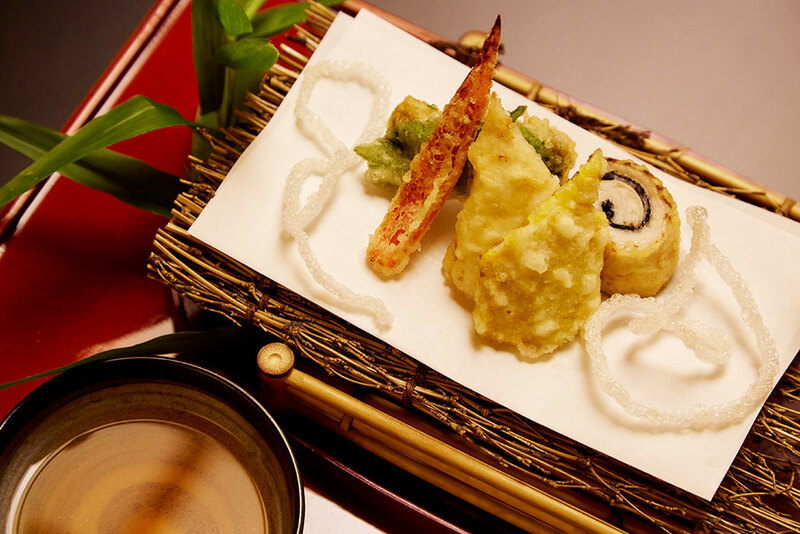 Kaiseki is a traditional style of Japanese cuisine comprised of a series of minimal, intricate dishes prepared as tasting courses. At its core is the Japanese principle of using ingredients at their peak freshness to ensure that each bite is expressed naturally. Browse our full menus, seasonal offerings, and private dining menus. Executive Chef Yukihiro Sato was born in Fukushima Prefecture and attended the prestigious Musashino Cooking School. Upon graduation in 1983, he was selected by the Nadaman group to work in its new Otani Hotel branch in Akasaka, Tokyo, as a preparation cook. He would spend several years with the group, departing briefly to head the kitchen at the private Esukaiya Club in Sendai. 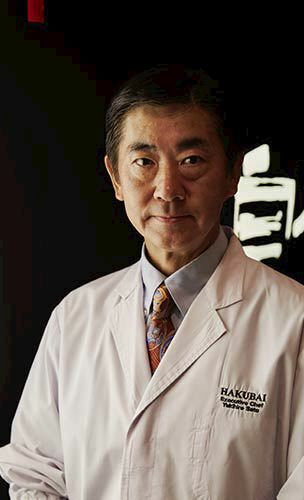 Chef Sato rejoined Nadaman in 1990 and continued his study of the intricate preparation of Kaiseki at the Tokyo hotel branch in Sendai Prefecture. In 1995, Chef Sato was transferred to the newly renovated Kitano Hotel New York to the position of sous chef at Hakubai Restaurant. Chef Sato was promoted to executive chef in 2001, a position he holds today as he continues to amaze leading Manhattan restaurant critics with the Kaiseki technique. Contact us for exclusive rates!